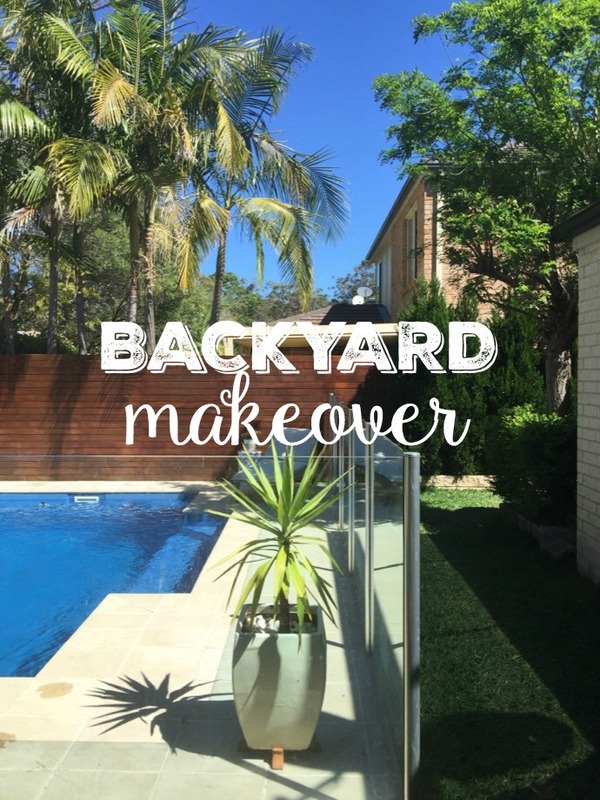 It feels like it has taken absolutely FOREVER... but finally our backyard makeover is done and dusted - just in time for Spring... well almost (give or take a month). 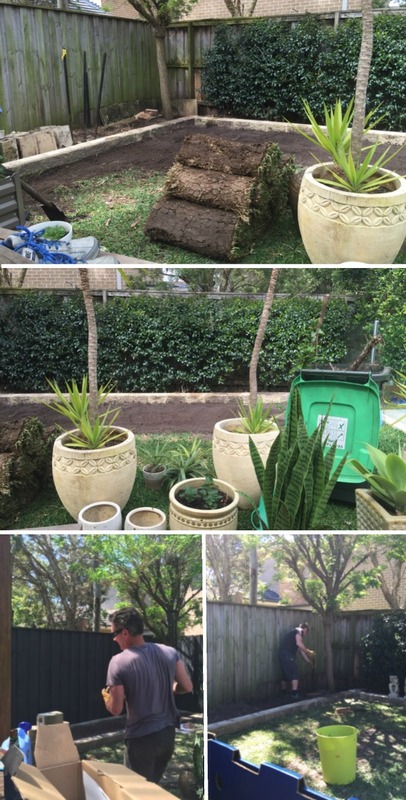 It started with me ripping out some of the buxus hedge about 4 months ago and declaring that we were doing a backyard makeover... and then the backyard sat looking all desolate and dirt ridden for the next three months because we had neither the funds or the energy to begin such a project. Me and my impatient whims. Ha! Eventually I grew tired of cleaning up the mud and dirt the kids and the dogs trekked through the house everyday and we have spent each weekend for the past three weeks rolling the sleeves up and get dirty. There was a lot of stink eyes being sent my way from the hubby who despite loving the newly finished yard, has begged me to plan these things a little better in future. How was I to know that I would like buxus one day and then wake up the next and no longer like them... in our backyard anyway? I cannot control such a thing. Here's a little peek at the before and the during... please excuse all the blurry photos. Clearly one must clean the dirt from their phone before they attempt to take photos. And you can't have a before without an after right? We are halfway into creating a veggie and succulent garden down the other side of the house for our wannabe farmer child Sammy and I'll share that one when it's done too. On that note, I'll just leave these pictures here and crawl back to the couch and sit with the hubby whilst we rest our bruised, blistered and battered bodies. or are you a thinker and planner?